A few short weeks ago we lost Ken Stabler and it was felt by football fans everywhere. In my article describing why he should be in the Pro Football Hall of Fame, I cited the great moments he had as one of the reasons. He had so many famous 4th quarter finishes they had nicknames: The Holy Roller, The Sea of Hands, and The Ghost To The Post to name a few. However the one most people forgot about was his last great comeback. Stabler celebrating a score in Super Bowl XI. John Madden, Fred Biletnikoff were gone and many holdovers from the 70’s were being phased out in 1979. Tom Flores was now the coach and Oakland was about to miss the playoffs for the second straight year. Only the second time this had happened in 12 years. They traveled to New Orleans where both teams at 7-6, clung to fading playoff hopes. …and just like that Stabler brought the Raiders back from 35-14 to the greatest comeback win in Monday Night history 42-35. 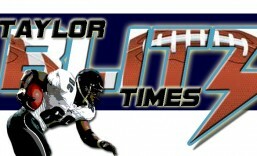 The Snake had gone 26 of 45 for 295 yards and 4 touchdowns, 3 of which were thrown in the 4th quarter alone. 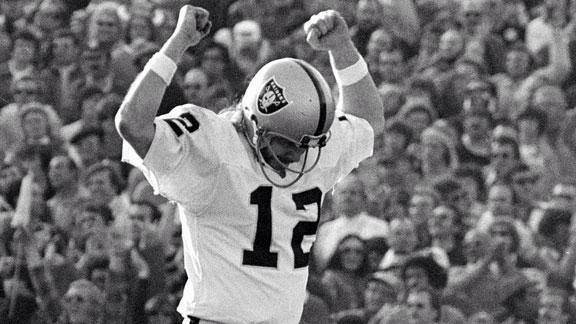 On a Monday night in December 1979, Stabler turned back the clock with an unbelievable performance. This entry was posted in Legendary Days and tagged Cliff Branch, Greatest Comeback in Monday Night history, John Madden, Ken Stabler, New Orleans Saints, NFL History, Oakland Raiders, Tom Flores. Bookmark the permalink.